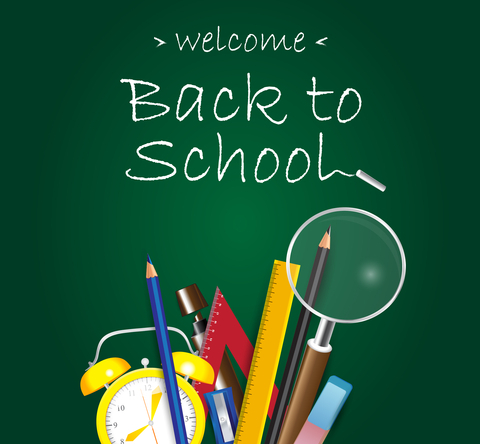 Whether your kids or grand kids are starting pre-kindergarten or taking their first steps into college this fall, send them back to school with the right gear and most helpful must haves for the year. We can help you find the best electronic equipment to keep your scholar connected through the entire year. Give your kid the opportunity to open up an entire new world of radio listening. The internet is great but your kids may not have considered listening to the radio as an amazing wealth of knowledge and information. Kids love music on FM and their MP3 players but introducing a bit of AM talk radio into their lives may do major justice. The information is endless on the AM dial. The CC Pocket Radio is small and compact so the size will be familiar and it fits into any size backpack. The CC Pocket Radio offers AM, FM, Weather and Weather Alert. Kids may have the impression that their cell phones will always keep them informed but whether or not we’d like to admit it, we all know an emergency can happen at any time and cellular communication may go down. A reliable way to stay informed at all times during an emergency is with an all hazards weather radio. Radio communication will always have the ability to stay in operation with reliable sources like Ham Operators. Ham Operators are local and have equipment ready to help coordinate emergency efforts. The CC Radio 2 E is C. Crane’s all hazards AM, FM, Weather and Weather Alert with the 2 Meter Ham Band Radio http://www.ccrane.com/CCRadio-2E-Enhanced-AMFMWX2-Meter-Ham-Band-Radio-Black-Mica that will stay up and keep information flowing. The CC Solar Observer is also a fantastic emergency radio that comes with AM, FM, the Weather band and can be powered by using the built in hand crank, solar panel or by using regular alkaline batteries. It also comes with a built in flashlight and in an emergency it can charge cell phones. Having a reliable flashlight on your key chain or in your bag can be a lifesaver. The Power Vivid Pocket Flashlight is small, light-weight and will provide a large amount of light to see by. Never be too cautious when it comes to staying lit. The Unity Plus Flashlight is a beefier version. It’s larger and puts out more light but it can also act as a self-defense tool with its firm grip and rigid top. It’s the perfect combo of power, size and weight. Turn any dorm room from a dull den to a chic chill zone by livening up the place up with a small and portable, Bluetooth® speaker. The Senta Ally Portable Speaker with FM will fill any room with rich, full range sound. Its generous battery time will last hours and hours. Connection via Bluetooth makes listening to music endless and it comes with all the cables necessary to connect to anything from cell phones, to tablets, to laptops. The School’s WiFi can be hard to receive and depending on location, almost impossible. A WiFi Antenna can be your internet savior. The Super WiFi Antenna 3 will receive a WiFi signal from hundreds of feet away and will significantly boost the WiFi to your computer or laptop. Couple the Super WiFi Antenna 3 with our Repeater to create the Super WiFi Repeater Kit that will connect multiple WiFi devices. Free WiFi normally surrounds campuses so a good WiFi antenna is a priority to stay connected. Now that we’ve given you a few back to school tips, we want to know what your back to school must haves will be this school year. Let us know what’s on your school shopping list and you’ll be entered to win a C. Crane back to School Starter Kit filled with a few necessities any scholar would need. One entry per person. Drawing will be held September 3rd. Congratulations to winner Paul Walker! You will be receiving the Senta Ally Bluetooth Speaker, a pair of CC Buds, the Power Vivid Pocket Flashlight as well as a pair of AA batteries. If I was going back to school, it would depend on if I was going to high school or college. If I was going to high school, My back to school must haves would be a bunch of those college ruled spiral notebooks that you can buy at Walmart for like 20 cents each along with a couple dozen packs of pens.. I took a bunch of notes in school and at home, so those would serve me well. I would pack a CC Pocket AM FM WX Radio so I could always find out what was going on in the world and keep it easily accessible in my pocket. I mean, teachers will take away a phone, but not a radio, right? If I was going to college, I would pick up your Super Wifi Antenna 3, easy to mount in a small dorm room and would prove very useful. I would also get a Unity Plus Flashlight especially If I was walking across campus. Lastly, since I love music, I’d get the Senta Ally Portable Speaker with FM .. Again, in a small dorm room this would come in handy.. small enough to use, but with great sound and would allow me to walk around the room and not be tied to a computer with headphones. I’m going online because I travel too much to sign up for any physical school, the brakes aren’t very long so it hardly seems like going back except for the change of classes. Of course books are always a must have paper or online books & a good computers important, and a tablet is in some ways more helpful than a computer. I have two kids going back to school. One in 8th grade and one in 5th. A must have for my 8th grader is a rolling backpack. All those school supplies are heavy! Plus she has to carry a violin to school every day. It would be nice for her to have a tablet or a laptop but we don’t have that kind of money. She will just have to use my computer when she needs one. My 5th grader need the basics. Three ring binder, notebook, pens and pencils, ruler, pencil pouch. The back-to-school must-have this year are lunch boxes. After rededication to a healthy-eating regime, we can make our on nutritious meals rather that depend on the school cafeteria to do so. For my back to school a weather radio would be essential as my college is frequently affected by hurricanes. Beyond that the usual school supplies – a few reams of engineering paper and high quality pencils, and way too many dollars worth of textbooks. My table was called the Vera table, because everyone had a Vera Bradley lunch box. Ava Knapp and Vanessa Sauret, sophomores at Williamsville North, said the bags a must-have item at their school, too.